We are still more or less in the exam season and Remembrance Day reminds me of one of the standard exam questions for modern History students – the invitation to explain the causes of the First World War. I remember the headache the question seemed to induce: there was no obvious ‘bad guy’ and no rogue nation, no obvious cause or need for so many nations to get dragged into such a messy and meaningless global conflict. The system of alliances (Britain, France and Russia on one side, Germany, Austria Hungary and Italy on the other) worked like collapsing dominoes: one nation after another got drawn in; all tumbling into chaos. It was hard to explain at the time, and it has got no easier over the years. Yet, behind all the nationalism, militarism and the elaborate alliances, historians point to an underlying social unease: that in post industrial revolution Europe the old way of running things no longer quite worked and class conflict and socialism were changing things. Was the war a distraction, a diversion from insoluble social pressures? I think that would be a great exam question! But that’s not a comfortable thought. That exhibition of crosses at Queen’s Gardens brings home the horrible cost of New Zealand being sucked into a conflict that began a world away so many years ago. It seems all the more horrible if the war was really the manifestation of a deeper problem. 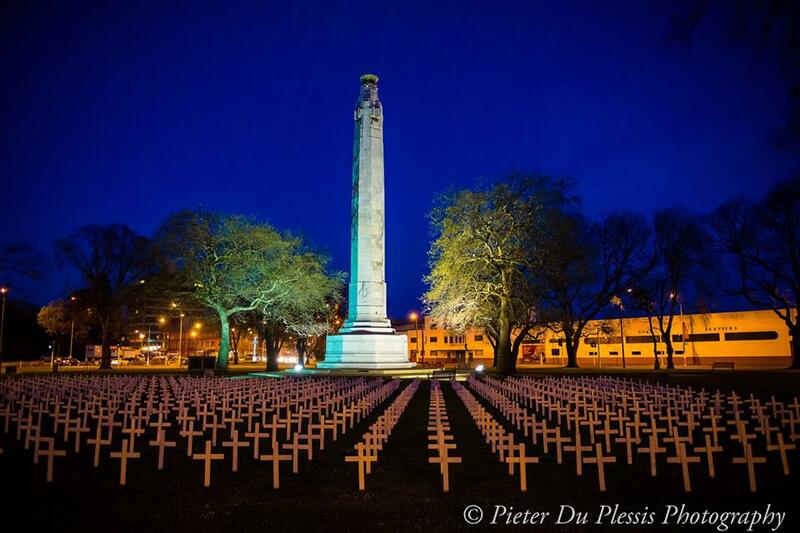 To think about those crosses in Queen’s Gardens, is not just to remember and grieve, but to remember and think about our world now. We learn from the past. Remembrance Day is not about nostalgia but it demands our attention to the present. If a changing world order prepared the way for the First WW, how do we make sense of the world changing events that have happened this year and even this past week? What about that French diplomat who, responding to the election result in America, tweeted “The world is collapsing before our eyes.”? Behind Brexit earlier this year, and behind the election of Mr Trump, there is a reality – and, disturbing as it is, it is hard to know how to change it –wealth has become concentrated into a 1% of world elite and there is a global technocracy that serves their interests. Remember how in recent years we have had the Global Financial Crisis of 2008; seen the banks bailed out with little reform; noted the Occupy Movement of 2011; and in 2015 we saw Greece utterly humiliated by the European Union and the International Monetary Fund; at home we have seen house prices in Auckland make home ownership impossible for many. On Remembrance Sunday, is that the legacy with which we honour our dead? Are we content to tolerate a privileged few alongside an underclass trapped in debt and financial insecurity? However I think the question is bigger than that: this is not just a political or economic problem; not even an ideological one. Quietly, silently, the world changes moment by moment because we are on a roller coaster of accelerating technological change far greater than anything the world has experienced since the Industrial Revolution. In the big picture technology is taking jobs: the future of employment, the nature of work, seems bound to change fundamentally. In the process our society will be transformed and there is a future that we will have to help shape. On Remembrance Sunday we don’t just remember to grieve; we remember also so that we may act with courage and insight in the challenges that we face now. We owe our dead no less.